History and modernity meet in Assabet Valley, a region which has preserved its authentic rural lifestyle in the midst of development in one of the nation’s largest metropolitan areas. While each community in the Assabet Valley Region exudes its own distinct character, they all possess true New England charm; a cherished feature which is seen in all facets of community life. Residents take advantage of outstanding educational, medical and recreational resources, while businesses are attracted to the region’s pro-business attitude, proximity to major markets such as Boston, Worcester and Providence, and a stable, diverse and growing economic environment. What’s more, tourism is great with a variety of sites and events for all ages, comfortable accommodations and delicious dining opportunities. Discover for yourself why the Assabet Valley Region is regarded for its unmatched quality of life. Incorporated in 1812, Berlin has evolved as a predominantly agricultural community. Although shoe manufacturing and lumber supplied non-agrarian jobs during Berlin’s development, specialty market agriculture has proven to be its most successful industry. Historic buildings and homes contribute to Berlin’s quaint ambiance where approximately 2,400 residents enjoy the stability and comfort of this picturesque town. Nestled on the uplands east of the Nashua River Valley, Bolton is a lovely community of nearly 5,000. Since it was settled in 1675, Bolton has evolved into a thriving agrarian community composed of rustic rural landscapes that have remained virtually intact over the years. Today, Bolton is predominantly residential, serving as a quaint suburb for surrounding industrial communities. An estimated 18,200 people reside in Hudson, a community with a layered past that spans all the way back to the early 1600s. 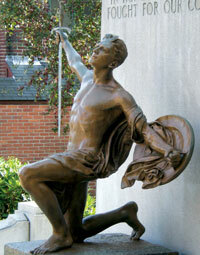 Farming was the first means of commerce; however, Hudson quickly developed a knack for industrial innovation. Nestled along the banks of the Assabet River, Phineas Sawyer established the first cotton mill in Massachusetts. In the mid 1850s, Hudson became the state’s leading producer of shoes, and by the late 1800s, the manufacturing of rubber products was the town’s largest industry. 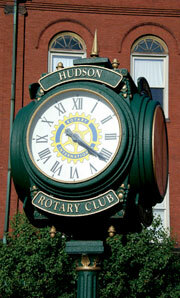 Hudson had strong ties to the abolitionist movement, with several homes serving as stops on the Underground Railroad. The Goodale House was one such home and still stands today as Hudson’s oldest known residence. Today, Hudson reflects its distinguished past through its many historic homes, businesses and a recently revitalized downtown district. A diverse community, exceptional educational facilities and continued success in business and industry keep Hudson prosperous. 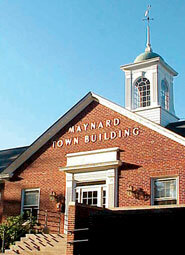 Settled in 1638, Maynard was built on hard work and progressive thinking. Along the Assabet River, grist and sawmills emerged as its first industries in the early 1700s and gave way to paper and powder mills in the 1800s. Wool eventually became Maynard’s driving industry. In fact, the American Woolen Company was the largest woolen mill in the world and generated electricity for the entire town. Today, Maynard’s downtown hosts Clock Tower Place—home to many high-tech industries—as well as dozens of unique shops and eateries. At nearly 10,500 residents, Maynard is centrally located between Boston and Worcester and within an hour’s drive of five state parks, 11 golf courses and two ski areas. Considered a “rural oasis,” Stow has numerous recreational opportunities. Pine Bluff beach, tennis, hiking, ice skating and cross country skiing are amongst the town’s amusements. 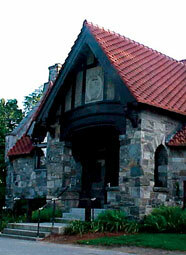 Located 25 miles west of Boston, Stow’s proximity to Boston compliments its rural atmosphere. The town’s largest industries include five apple orchards, five golf courses and BOSE. Many of the golf courses are recognized as the best courses in the state. A private airport and Lake Boon are also sources of pride for this community of approximately 6,300.